Alright, so I’ve spent a ton of time doing these online traffic school reviews and getting together some discount codes and coupons. I’m not sure of anybody else who is crazy enough to review online traffic schools, but as a certified driving instructor and long-haul trucker, driving is a passion for me. I’ve gone through some of the major online traffic schools out there and narrowed it down to the best. Of course, for each driving school I recommend below, there is also an extremely detailed review of the course so you know exactly what to expect. I just want to prepare you real quick. There is no such thing as a fun or exciting traffic school. These online traffic school reviews aren’t meant to tell you which one is the most exciting. It’s going to be boring no matter who you go with. However, these are the most bearable online traffic schools around. These are also the only schools that I can personally vouch for as I’ve gone through them myself. There are probably other options out there that are just as good, but being one guy, I can’t review them all. Believe it or not, there are hundreds of “state certified” online traffic schools out there and most of them are very low quality. Good luck! It’ll all be over soon! Aceable is one of the best online traffic schools right now. Up until March of 2017 you would not have seen them listed here at all. That’s because they were only certified in a small handful of states, but as they now cover all of the major states, I feel comfortable listing them among my top choices. Check out this page to see if they are certified in your state. While Aceable is one of the newer online traffic schools and I usually say that’s a bad thing, in this case, it means the opposite. For starters, this is the ONLY online traffic school that was built from the ground up for each individual mobile device you might use (and yes, you can switch between devices anytime as you take the course). While most online traffic schools have “mobile-friendly” versions (usually crap), Aceable has dedicated apps and platforms for each device. They also provide audio, video, graphics, animations, and they even have a cool robot mascot named Ace, who I promise you’ll actually miss when it’s all over. Their customer service, based out of Austin, Texas, is second to none. If you have any problems, tell them I referred you, and I promise they will take care of you (if not, contact me!). It’s fast, it’s cheap, it’s easy, it’s modern, they have a money-back guarantee, and it’s the course I would personally use if I had to sign up. While I have a detailed review of the Aceable online driver’s ed course, I don’t have a review of their traffic school or defensive driving courses yet. I’m working on it!! Use This Exclusive Link For The Best Price On Aceable! iDriveSafely is one of the largest and oldest online traffic schools with more than 5 million customers having already completed the course (although I prefer to call them guinea pigs). They’ve been at this for decades now and have kept a very good reputation. This was the very first online traffic school I ever reviewed and as of this writing, they are still among my favorites. The school also has an A+ rating with the Better Business Bureau and their system will check to verify you are eligible for their course. Before online traffic school became available, iDriveSafely was one of the few companies that had a home based course through workbooks and VHS tapes. Now that technology has advanced into awesomeness, they have continued their home based online traffic school courses with state of the art videos, animations, and tracking software so you can use the course whenever, from wherever, using virtually any device with an internet connection. Improv Traffic School was created by the famous chain of Improv Comedy Clubs. Many years ago, a bunch of Hollywood Comedians began giving classroom based traffic school but focused on making it fun and easy. Their traffic school courses were a huge hit, since it was more like entertainment than anything. Thankfully, Improv decided to take this same approach to online traffic school. While most online traffic schools consist of boring full length pages to read, Improv Traffic School is full of hilarious videos, pictures, animations, and even games. Plus, when you sign up, they also give you 2 free tickets to one of their Improv Comedy Clubs. The tickets have a market value greater than the actual course you’re paying for. Whether you decide to use those tickets or not, chances are you’ll have a few laughs taking their online traffic school. This is one of my favorite courses and my top recommendation for those with a good sense of humor. Oh, and don’t forget to use the coupon link they gave me (posted below) so you can save 5 bucks! GoToTrafficSchool is the best option for one person in particular… The bargain hunter! While GoToTrafficSchool isn’t exactly the most advanced traffic school in terms of engaging videos and animations, they have been around for well over a decade with millions of people having completed their course already. The main thing that sets this online traffic school apart from the rest is their lowest price guarantee. If you are able to find a price anywhere else that is cheaper than GoToTrafficSchool, they will match or beat that price. 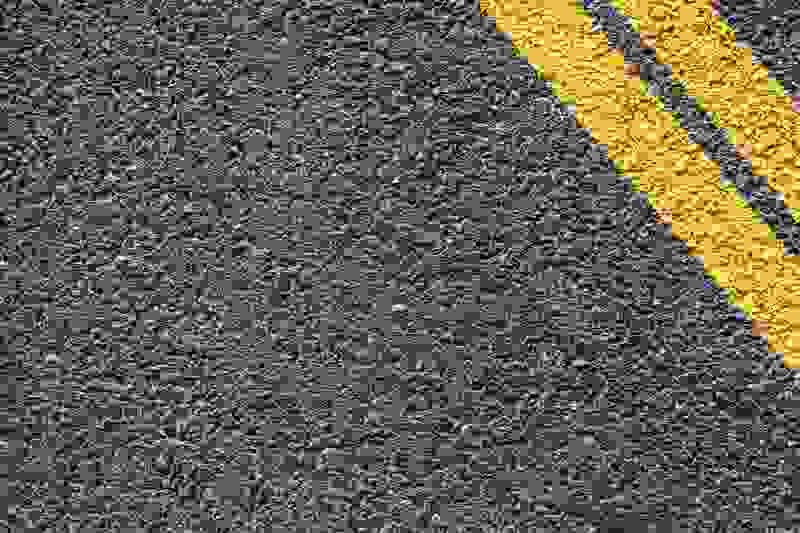 Most states set a mandatory minimum price for all online traffic schools and GoToTrafficSchool.com normally prices their course at the minimum. If you are simply looking for the lowest possible price to complete your ticket dismissal requirements, this is the course you want to sign up for. And don’t worry, you can start taking the course for free just to make sure you like it. While many people enjoy an interactive course filled with games, videos, and animations, other people just like the most bare bones course available. This is where Traffic School 101 comes in handy. This course has no frills, no thrills, and no attempts at using cheesy humor. Instead, the course is set up very similar to a standard ebook. They simply present you with the info, provide the testing platform to complete your required quizzes, and you’re done. But don’t worry, you still get the benefits of most other online traffic schools. You can still log in and out whenever you want and you get access to 24/7/365 technical and customer support. Unfortunately, some reports have come in that certain parts of this course requires a “flash plugin” so this will not work well on many mobile devices / tablets including all Apple devices. If you want a straight forward course without all the extra bells and whistles, this is definitely the course for you. 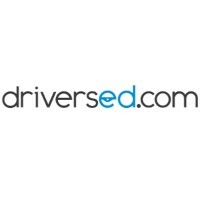 DriversEd.com is a school I normally recommend for online drivers ed courses, although they are approved in a few states for online traffic school including what I call “the big two” – California and Texas. This company is huge with drivers ed programs and repackages the material from drivers ed courses into an online traffic school. The advantage to this is, the quality is very high because there are more quality checks for drivers ed programs. The graphics and animations they use are very high quality and have a cool 3D look that’s easy on the eyes. Really impressive stuff. So this is another good option for you. Comedy Traffic School, located at ComedyTrafficSchool.com, is a course I only recently got around to reviewing. I’ve gotta say, I’m pretty darn impressed! I’m still a huge fan of my highest rated online traffic schools, Improv Traffic School and iDriveSafely, but this is definitely another great option to look into. If you are a fan of comedy based traffic schools, do yourself a favor and take a look at this one. The type of comedy they use might not be very well received by everyone, so be sure to check out their course demos and videos before you sign up. NOTE: As of this review, Comedy Traffic School is only approved in the state of California. I decided to include this school for one main reason – they also guarantee to have the cheapest pricing. This course is very similar to GoToTrafficSchool and the school is actually operated by the same owners. However, the course is set up slightly different. Since you are allowed to start taking the course for free, you might want to go through a chapter or two and see how it compares with some of the other online traffic schools listed here. The last time I took this course, it appeared they had updated some sections and made it a bit more modern compared to their GoToTrafficSchool course. It really comes down to personal preference, so sign up for free and see what you think. Review #: The Online Traffic School, Inc. The Online Traffic School, Inc. is another well known online traffic school. They’ve been around for so long that they have had over 4 million people graduate from their course so far. That’s a lot of traffic violators! You get everything you’d expect from a good online traffic school like 24/7/365 support and a money back guarantee. They also have an A+ rating with the Better Business Bureau and a good online reputation. Since they were founded in 1996, they have become certified in over two dozen states. Chances are, if your state allows online traffic school for ticket dismissal or point reduction, The Online Traffic School, Inc. will be approved. Just in case, during the signup process, they will verify your eligibility. This is definitely a higher quality online traffic school. Traffic School To Go is operated by the American Safety Council. It was was one of the very first online traffic schools in the nation. They have maintained an A+ rating with the Better Business Bureau and have kept a good track record with millions of former students. The course is designed so you can complete it using any device with an internet connection. In addition, this course is also guaranteed to be the cheapest. I personally had a few issues with their customer service department, however. I had sent multiple emails and had trouble getting any response. However, I still decided to include this school since many people like that they are owned and operated by the American Safety Council. It is a name people trust and their school has been licensed for well over a decade. Traffic School Online has been around for about 15 years now and they have been able to maintain an A+ rating with the Better Business Bureau. When doing a Google search for online traffic schools, this is one of the very top schools that comes up. When I saw that, I knew I had to write a review for it. The course itself is pretty decent, but I do have some complaints about it. For starters, it isn’t exactly mobile friendly. Their main website is not mobile friendly at all and in fact, some portions of their site require the use of Flash Plugins which are not available on most apple devices like the iPhone or iPad. We wish they were keeping up with technology a bit better. Also, we noticed some very deceitful “customer reviews” on the site which we are unable to verify. We do know there are some strange things going on with those “reviews” though. Make sure you check out my full Traffic School Online review for more details. NOTE: This online traffic school is only approved for the state of California. No Stress Traffic School is one of the newer online traffic school on my review list. As the name of the school implies, they do everything they can to take all the stress out of your online traffic school experience. From an easy sign-up process to a lowest price guarantee and automatically sending your certification to the courts, you can rest assured this certified school will fulfill all of your court requirements in California. As with most other modern courses, you can log in and out at anytime using any device, so you truly can do this at your own pace and from anywhere. NOTE: This online traffic school is only approved for the states of Texas, Virginia, and Florida. TicketSchool.com caught my attention because I kept seeing it pop up during Google search results when searching for online traffic schools. What’s interesting is even though this course ranks highly in the search results, I can’t quite figure out why. There are no indications this is a higher quality online traffic school than many of the others who don’t show up highly in search results. With numerous “red flags”, I am very suspicious about the quality of this school or their ability to update their technology as we move into a mobile and tablet world (and whatever else comes along). While I was able to verify that this school is legitimate and approved in Texas, Virginia, and Florida, I am not able to fully recommend this school. I go into more detail in my detailed review. Should You Really Take Your Traffic School Online? What Is The Best Comedy Based Online Traffic School? I truly hope you find the above online traffic school reviews to be helpful. Be sure to check out the coupon codes and discount links I also listed above. I was able to contact many of these schools and get special referral codes that will save you some cash. While that wraps up the reviews of traffic schools, below I included a bit more information I thought you might be interested in. It’s pretty simple, really. First, I research the company who runs the online driving school. I make sure they are a real company and are legitimate. If the company isn’t legit, I don’t even take the course. Anytime I enter personal information, I only go with secure websites on secure servers with secure companies that are well established. So rest assured, these schools are safe in that aspect. Once I’ve determined the traffic school is legit, I take the course for myself. Yeah, it’s boring. But I’m happy to sacrifice my time and sanity for my fellow speeders and for the success of this website (I’m addicted to building websites – it’s fun!). After I complete the course, I write up my review. That’s it! I mean really, besides taking the course for you, there isn’t much more I can do to help, is there? If for whatever reason you don’t want to go with one of these driving courses, just be careful. Many online defensive driving schools are run by 3rd parties. In other words, you sign up for a course through one site, and they simply resell you a course from another site. Since they are acting as a “middle man” there is probably something in it for them. So before you fill in your personal information and sign up for the course, be 100% sure you are signing up for a driving school and not for some third party. Anymore Online Traffic School Reviews? I’ll try to get this updated, but I haven’t found any other online traffic school courses worth mentioning in a long time. Seriously, those are the best online driving schools out there. Don’t even bother with any other ones. Just stick with one of the above 4 and you’ll be good. I do, however, have some online driving school reviews listed by state. It’ll mostly be repeated information, but check it out if you’re interested. How Long Will Online Traffic School Take To Complete? This depends entirely on your state. Check out my online traffic school reviews by state for more detailed info. In some states, there are programs you can take with no course timers, and that’s awesome. What’s a course timer, you might ask? Each page of your online traffic school must be timed in most states. For example, if your state normally requires a classroom traffic school to last 6 hours, the online driving course alternative must take you 6 hours as well. To ensure it takes that amount of time, there are timers in the course to prevent you from skipping ahead and finishing the entire thing in 10 minutes. Sorry, no way around this one. Although sitting in front of the television while simultaneously “taking the course” seems to act as a nice remedy (you didn’t hear that from me). What Happens When I’m Finished Taking My Online Traffic School? Once again, this depends on the state you’re from. In some states, such as California, it is up to the traffic school themselves to electronically send your completion certificate directly to the courts for you. However, in other states such as Texas, you will need to receive a paper copy of your certificate in the mail, then personally deliver that to the court or, in some cases, mail it into the court yourself. Most online traffic schools require up to 7 days for “processing time” before your completion certificate is shipped. Then, they use the slowest mailing method possible with delivery times estimated at 7 to 10 days. In order to receive your certificate quicker, you have to pay ridiculous expedited processing fees. Do not procrastinate taking your online traffic school! If you do, you’ll pay for it in the way of overpriced shipping and handling fees. Just get it done. Question / Answer Format: At the beginning of the course, you may be asked several personal questions that only you should know (do you have a mortgage, what are the 3rd and 4th numbers of your social security number, what is your mothers maiden name, what year was your father born, etc.). Once you have answered these questions, you will be asked throughout the course randomly to answer those questions again. If you get too many wrong or don’t answer within the amount of time allowed, you get locked out of the course. In addition, they may ask you new questions throughout the course that only you should know the answer to. You are allowed to get some of these wrong, but get too many wrong and you are locked out. Voice Authentication: You may be required to authenticate your voice. This is usually done through the telephone. Basically, they call your phone number to get a “baseline” recording of your voice. After that, they will call you randomly throughout the course and ask you to give a secret code that is currently shown on the screen. If you do not get the code right or it is not your voice being used, you may get locked out of the course. Some courses require a microphone to be used and plugged in / active while taking the course. Webcam: In some cases, a court will require you to have webcam capabilities. The webcam will need to be on and active throughout the course and/or the cam will take pictures at random times. If you are not clearly visible and identifiable, you may be locked out of the course. Note that this is a rare form of authentication and voice authentication is much more widely used. What happens if you get “locked out” of a course? Normally, it’s a simple phone call to customer service. This is part of the reason why 24/7/365 customer support is necessary with online traffic schools. Most of the time when people get locked out of a course, it is due to a simple error and not due to any attempts at cheating. Keep in mind, if you do get caught cheating or having somebody else take your online traffic school for you, it is a criminal offense. Granted, I’ve never heard of anyone actually getting fined or going to jail over this, but it’s probably best to simply complete the course yourself and not risk it. This is just traffic school, not a prison sentence! Along the lines of state requirements, online traffic schools can only keep your account in “active” status for a certain period of time. Usually this is 3 to 9 months, depending on the state. If you have not completed the course in this timeframe, you will get locked out of your account. In order to re-activate, most online traffic schools we reviewed charged a fee to re-activate. Don’t sign up until you are ready to take and complete the course. Well, I hope you found these online traffic school reviews helpful and I hope this is the last time you ever have to take an online traffic school! But hey, at least you don’t have to waste your time sitting in a stuffy classroom with a bunch of other traffic law criminals (hey, technically you’re a criminal!). Online traffic school isn’t so bad in comparison. So take one last look through all of the online traffic school reviews listed above, feel free to use our coupon codes and discount links, and get it done! It’ll all be over soon!